During a scheduled change window, make sure to save you configuration. If you only have one SUP, it would be best to power the box down completely before yanking out the only SUP to upgrade the memory. Pull the HA-Standby* module (as seen with “show module”) half-way out. The picture shows where the module should be inserted. Before inserting the 4Gb module pull of the sticker and place it on the front of the SUP. 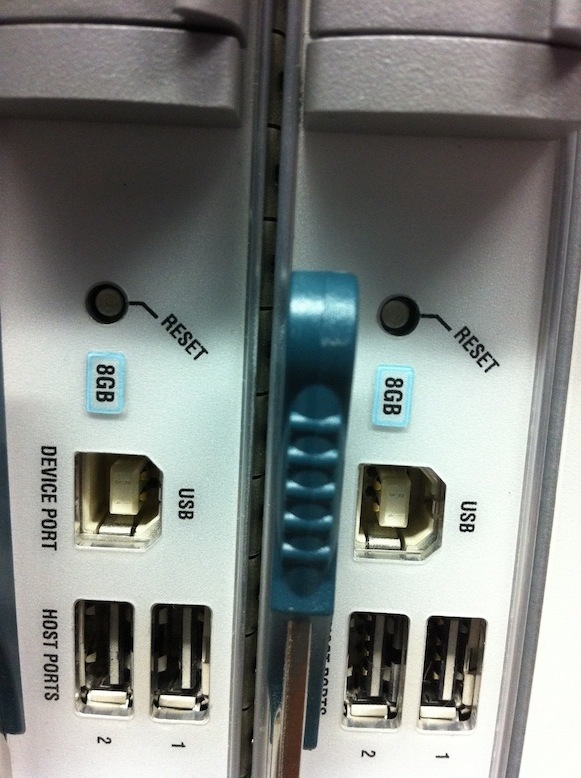 Connect the console to the SUP that has been upgraded and confirm all services are functioning as required. Then do to upgrade the last SUP by repeating the above process, with the following ending result. Good explanation. I wasn’t yet in the position to do such upgrade, but it’s always good to know how. Thanks! Thank you for the information! I have developed 2 vdc and the default one with 5.2(3a) and It doesnt has any problems so far! Although the traffic that passes through is about 7-8Gb and the load is small! I performed this the other night, the first standby sup upgraded and rebooted, when I upgraded the second ( originally active sup ) and reinserted the active sup rebooted. 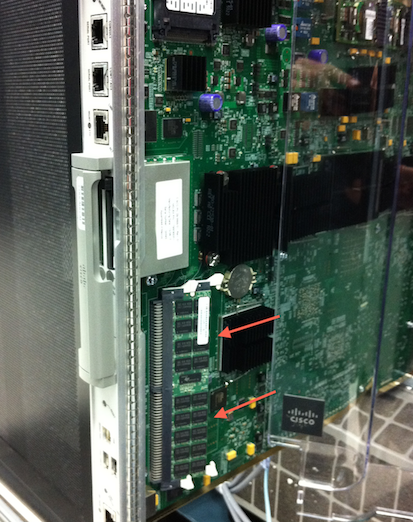 This chassis was part of a vPV and the other chassis ( not yet upgraded ) took down the peer link and svi’s and uplinks. Unfortunately we lost Tacacs and even more unfortunately someone had written the local username/password down wrong, a long night that was. We were trying to go to 5.2.1, then 6.0.3 so we could configure OTV. I know of a bug that sounds similar to your problem on v 5.1.3. When the Switchover between SUP are initiated and in progress, at some point the new active SUP gets confused and reloads. I cant remember that bug-id for it, but it should not be to hard to find. Alternatively 5.2.1 does not have this bug, and for the most part with all my testing 5.2.1 seems stable. Thanks for the reply. We found bug CSCto47841, which is’nt exactly what happened but could be related. Your reply seems more like our scenario. The unfortunate thing for us was after inserting the second, upgraded sup, it never booted, it just flashed red at the status led. We’ve replaced it and sent it to a lab, along with the memory, to be tested before we attempt the memory upgrade again. Once upgraded, we’re going to upgrade the NXOS to 5.2.1 and then 6.0.3 for our OTV implementation. 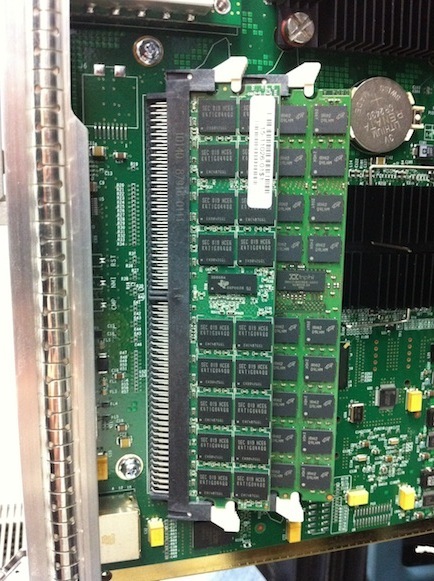 We are planning to upgrade the memory in nexus 7k with 2 Sup. but I have order only 1 8gb bundle. thinking that I will use 4GB memory of standby supervisor to active supervisor. Although I am not sure whether we single 4GB memory or 2 ( 2GB+2GB). Please let me know is that possible.